The Saskatchewan Immigrant Nominee Program (SINP) is an immigration program, administered by the province that operates under an agreement with the federal government. This program can provide a quicker means of entry into Canada; it allows Saskatchewan to nominate applicants to the federal government for permanent residence. 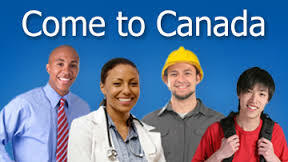  provincial immigration officers who can provide customer support with the process. What is the SINP International Skilled Worker Category? Apply online to the SINP for nomination. SINP reviews your application; and, if approved, the SINP will: send a nomination certificate to Citizenship and Immigration Canada (CIC); and, send a nomination letter to you explaining how to submit an application to CIC. After receiving a nomination from the SINP. Apply to the CIC Centralized Intake Office (CIO) with your SINP nomination for permanent residence. 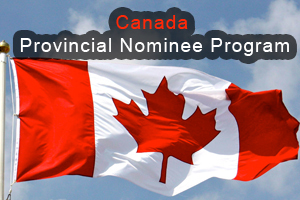 View CIC’s application process for permanent residency for provincial nominees.  CIC considers your application after they receive the nomination certificate from the SINP; and,  CIC conducts health, security, and criminality reviews and verifies other inadmissibility provisions in Immigration and Refugee Protection Act (IRPA) before issuing permanent resident visas to you and your accompanying family members. 1. Score a minimum of 60 points out of 100 on the point assessment grid. 2. 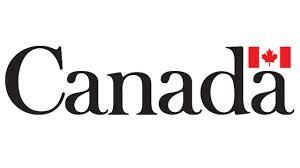 Have a minimum language score of Canadian Language Benchmark (CLB) 4. Please note: CLB 4 is the minimum; employers and regulatory bodies may require higher language scores. 3. Have completed a minimum of one year of post-secondary education or training which is comparable to the Canadian education system and has resulted in a degree, diploma, certificate, or a certificate equivalent to a trade certificate (that is verifiable). 4. Have a minimum of one-year paid work experience in the past ten years related to your field of education or training.  Your work experience must be in a high skilled occupation (NOC “0”, “A” or “B”) that is considered to be in-demand in Saskatchewan. Please see Appendix A for the list of eligible occupations. Please be advised the SINP is subject to a nomination limit set by the federal government. The ability to be nominated is affected by these constraints as well as program criteria. No application is guaranteed to be accepted and/or nominated. You must score a minimum of 60 points out of 100 points on the Point Assessment Grid to be considered for nomination.  connections to the Saskatchewan labour market and adaptability. You must attach documents to support the information for the eligibility criteria and points factors. For example, if you claim 20 points for having a university degree, you must attach a copy of your university degree and complete transcripts. If your degree is printed in a language other than English or French, you must also attach a translated version. Work experience gained over the last ten years is weighted. Applicants get two points for each year worked in the most recent five years, and one point for each year from the six to ten year period prior to applying, up to a maximum of 15 points. i.e., If an application is submitted on 1-Jan-2014, points for experience gained during the most recent five years would be from 2009-2013, and points for experience gained during the six to ten year period would be from 2004-2008. The principal applicant’s age points are calculated according to the date of application to the SINP. uncle, niece, nephew, cousin and step-family members or in-laws of the same relationships. Degree Certificate or Provisional Degree Certificate. Passport Copy – First and Last Page. Work experience certificate – if any.